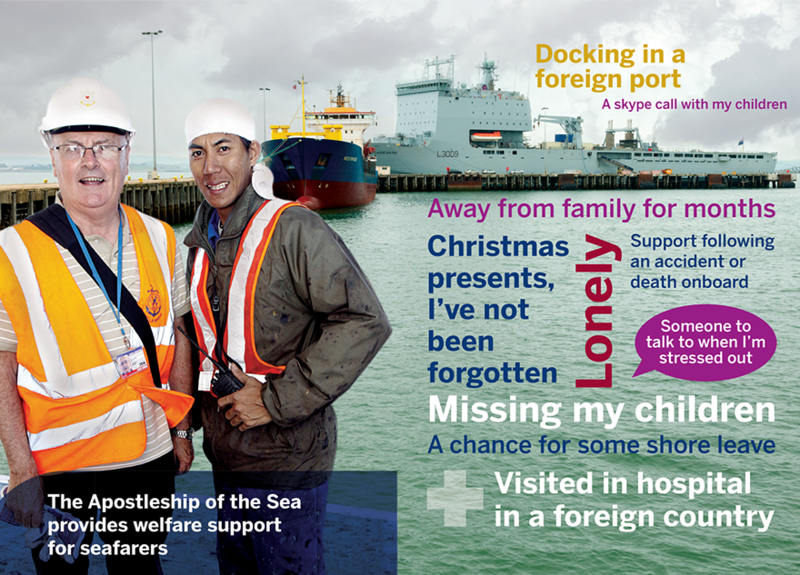 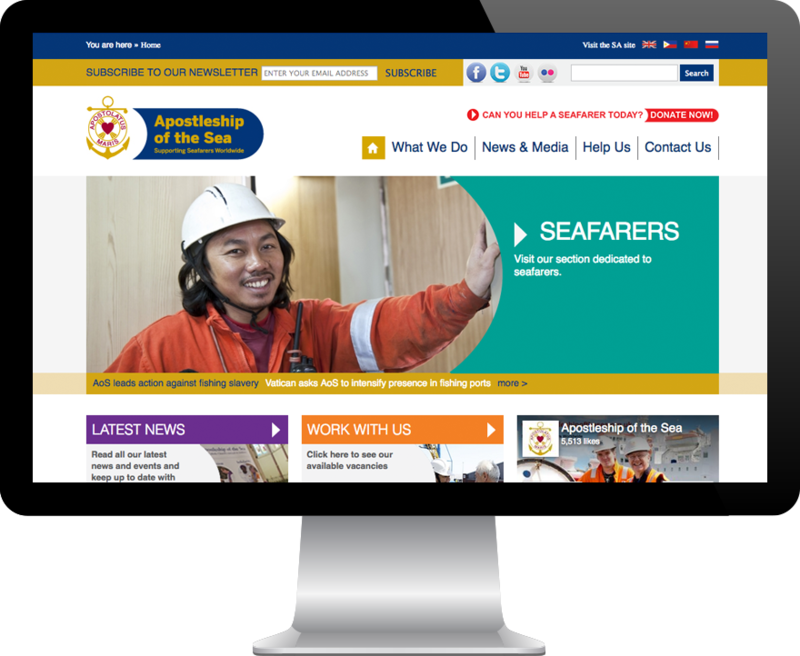 Apostleship of the Sea identified a need for a new website and email templates to strengthen connections with existing and new supporters. 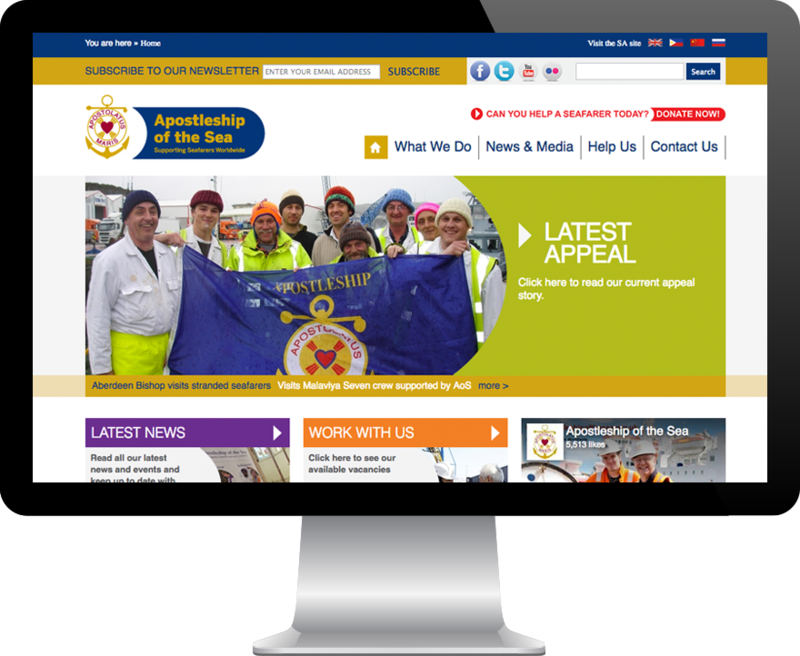 Working with Apostleship of the Sea we created and developed a bespoke website with a custom CMS, on an open-source platform. 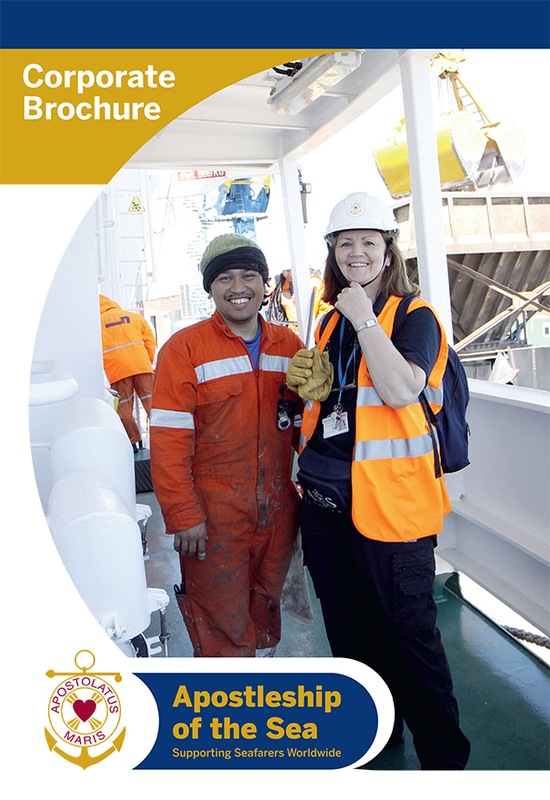 The site embodies the refreshed brand identity, ensures information is no more than 3 steps away and includes integrated email subscription, page language translation, analytics, social media integration, shop, global map and a mobile theme. 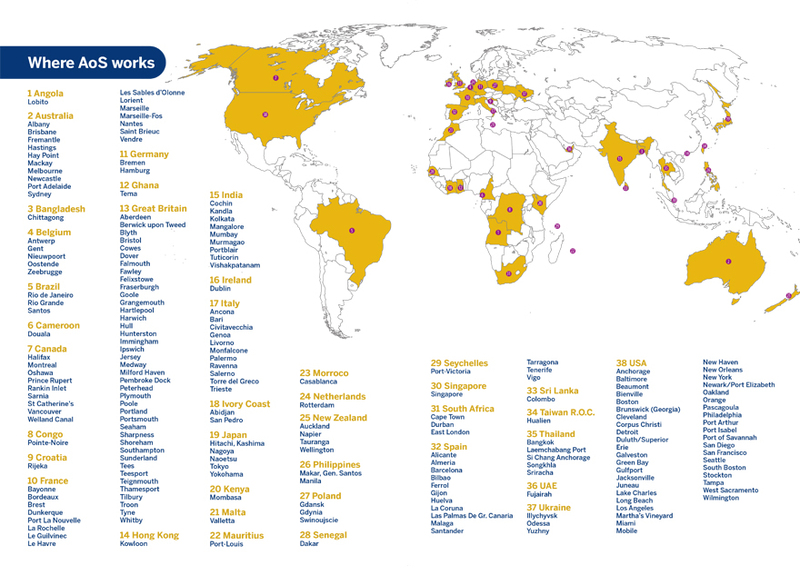 Elements can be easily customised to ensure the site is continually developed, without ongoing costs or need for professional web development skills.